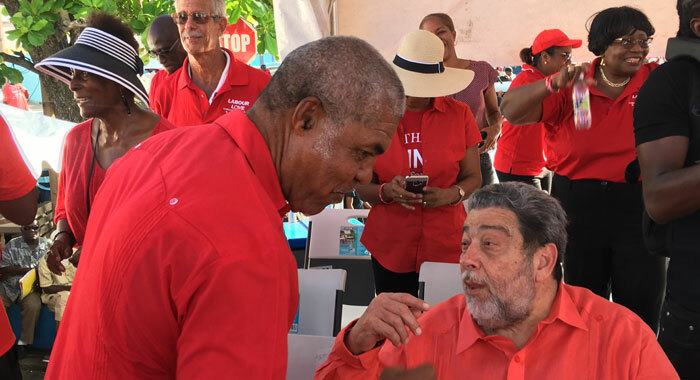 Prime Minister Ralph Gonsalves says that after 18 years in office, his Unity Labour Party has not run out of ideas, but the New Democratic Party was on a decline after just a decade. 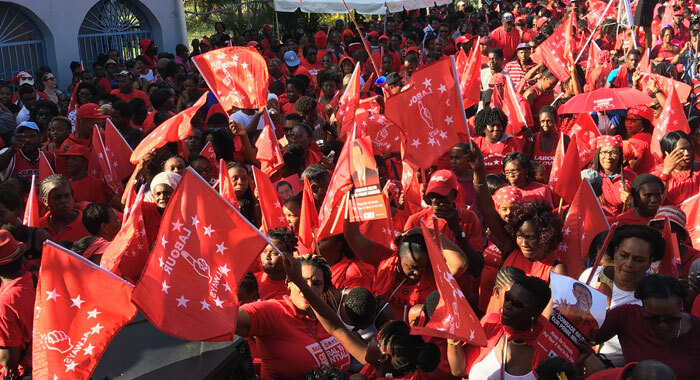 “Ten years, Mitchell was tired, the NDP was exhausted, and they had nothing else to do,” Gonsalves told a rally in Kingstown last Thursday to celebrate the ULP’s 18th anniversary in office. “They limped on from 1994 to 1998 and then 2001,” Gonsalves further said of the NDP, which was voted out of office in March 2001, after 17 years in office. Gonsalves said that his government has charted a course. Gonsalves said that in putting the economy on a different footing, skills are needed. He said that in order to develop services, a proper air transport system is needed, hence his government’s construction of the jet airport in Canouan and the International Airport at Argyle. “They say neither could be done. Remember [former NDP leader, Arnhim] Eustace, said where you get the money from, find it from where? We built it…” the prime minister said of the airport, which opened in February 2017, about eight years behind schedule and at twice the initial estimated cost. He said another cross-cutting issue is energy, adding that his government said it would wean the country from oil because the fuel surcharge brings a lot of pressure. Gonsalves said that the government is on target to have almost 75 per cent of its electricity generated by hydro, solar or geothermal. The prime minister said the government has plans for over 2,000 new hotels room to be completed by 2021, including Black Sands Resort and a private sector development at Mt Wynne-Peter’s Hope. There will also be a 250-room government-owned hotel built at Mt Wynne and Buccament Bay Resort, which has been closed since December 2016 and will be up and running with 200 rooms. In addition, the government will build a 93-room hotel at Diamond to be operated as Holiday Inn Express and Suites. Other investors want to build a 150-room hotel, Gonsalves said. He told the rally that a call centre will start in May with 50 people and is expecting to ramp up to 300 within 18 months. The prime minister said an agreement will be signed on Wednesday, for an $8 million fisheries processing plant at Calliaqua. Medical cannabis will provide opportunities for people in SVG at the agricultural and medicinal ends, he said. “You will notice the way in which the ideas are just coming. It’s 18 years and we ain’t run out of ideas. You know why? We have a developmental narrative, we have a national social and economic plan, 2012 to 2025 and we will update it as we come toward 2025. 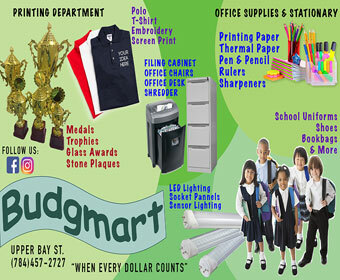 And, as Arnhim say, if you have any question, ‘Ask Ralph.’ If you have any question about these matters, ask Ralph. Gonsalves referred to the bible book of Chronicles which discusses the leaders of the 12 tribes of Israel. He said that the leader he liked the most was Issachar because he said that to lead, one must know the time and act accordingly. Gonsalves also expressed confidence that in June, SVG will be elected as the smallest country ever to sit on the United Nations Security Council. “We’re lifting the country in every single dimension. In sports, in culture,” he said, noting Kishore Shallow’s election as vice president of West Indies Cricket and Skinny Fabulous’ road march win in Trinidad and Tobago. If you repeat a lie often enough others tends to believe it and so it is here in SVG with Ralph Gonsalves’s enduring lies about education, a skills revolution and his building of a so-called modern economy. The facts are that we are deeply indebted, the country is thoroughly broken with tens of thousands out of work because of the lack of job creation here and the population is as dunce as we have ever been. Yet these facts are not surprising! Look at whose examples the Ralph Gonsalves extended family is following. The Joseph Stalin’s regime, Fidel Castro, Daniel Ortega of Nicaragua, Luiz Inácio Lula da Silva former President of Brazil (in prison there for corruption). Former President of Venezuela, Hugo Chávez. And now his protégé, Nicolás Maduro. What a bunch to follow? Luiz Inácio Lula da Silva former President of Brazil had put such a promising world economy as that of past Brazil’s into a tail spin and that Former President of Venezuela, Hugo Chávez and his protégé, Nicolás Maduro is causing those Venezuelans who have not ran away to eat their very pets to survive. 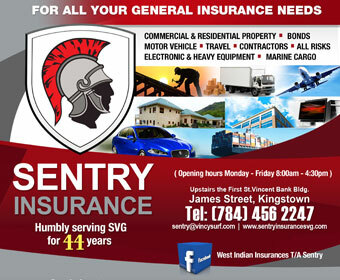 Vincentians who live in our very small bobble are blissfully waving their silly red flags and wearing red shirts ignorantly ignoring their dire situation, uncaring as to how the Ralph Gonsalves family have turned the nation’s poverty, a poverty that they are now presiding over, into a political weapon. Ralph continues with his usual mesmerising promises of better for all, while he, acting for the country, ever goes cap-in-hand begging the world over as he takes us ever further down the road to servitude. Some here who are nevertheless better informed about our place in the wealth creation comparison table, know better than to be so easily fooled by the rhetoric of colonial victimhood. They only needs look at Cuba and Venezuela as how not to go. When peanuts are the reward here, is it surprising that we ever gets monkeys stepping forward! The Venezuelan example alone, ought to be a sober enough warning for all Vincentians! Our “education revolution” has yielded a nation of credentialed dunces unfit for the local labour market who were taught by equally dunce teachers who can’t even correctly count ballots when working as election officials. The proof of the suitability of government policies is always the same: did they fulfill their expectations or meet their goals. None of the developmental projects of this government have done either of these two things, the best proof being the continued migration of all those people, many of them with advanced education (as opposed to advanced learning), who are forced to flee their homeland every year because they can’t find a decent job, are bored to death by our lack of recreational and other attractions, can’t stand the growing physical decay, and are repulsed by the social and cultural degradation that now defines our way of life.